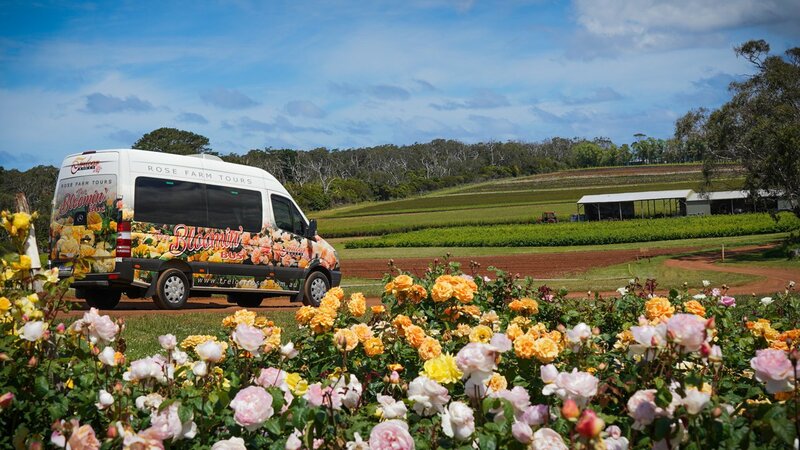 Join Trelaor Roses on a guided tours of their extensive rose farm where you have the opportunity to get up close to the beautiful fields of roses and learn what it takes for Australia’s largest rose farm to grow and distribute their crop each year. 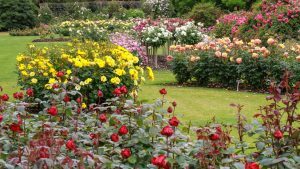 Passengers will be driven in air conditioned comfort on a 30 minute garden tour and at the conclusion will have a chance to stroll through their stunning 2 acre display garden. 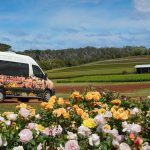 ” We are really excited to invite the public to experience the beauty at our rose farm on our new tour bus” said Treloar Rose director Gary Matuschka. ” So many visitors come to the farm, especially in flowering season and now they have the opportunity to see behind the scenes and learn a bit of history along the way” he added. The “Bloomin Bus” has the capacity to hold 11 passengers. plus the driver with tours operating six days a week. A pick up and drop of service from the Portland Visitor Information Centre is also an option for those not wishing to make their own way to the farm. Treloar Roses was founded by the late Ted Treloar during the early 1960’s. He started selling rose plants from his nursery located at the back of his fruit and vegetable shop. 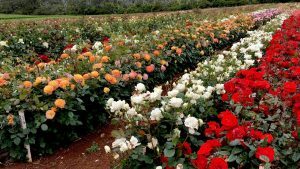 His dedication to the industry and passion for roses saw the business grow into Australia’s leading rose nursery. Today the business is operated by Trent Treloar, grandson of Ted Treloar and Gary Matuschka and sends rose plants by mail order Australia wide. Treloar Roses are one of Australia’s primary rose producers, presenting the best new releases from rose breeders around the world.